Pink Castle Blog: How to get a professional finished look when sewing garments! How to get a professional finished look when sewing garments! Ever wonder what a CoverPro (or a cover stitch) machine does? This little beauty makes amazing professional looking hems! 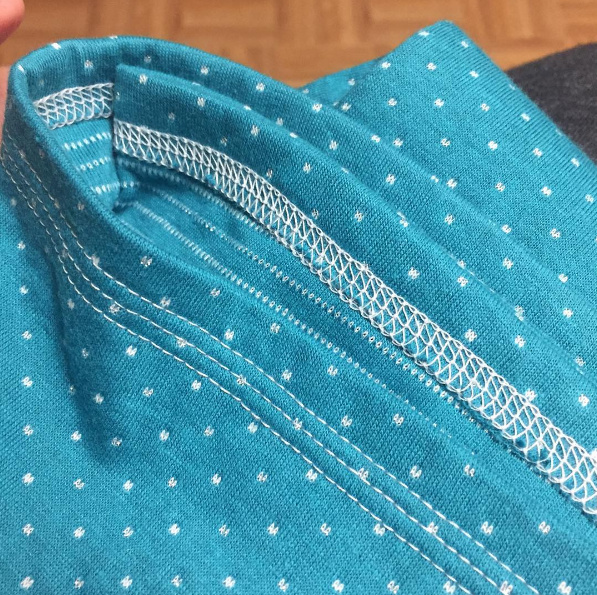 When you look at the bottom of most knit shirts (you may be wearing one now) you will see 2 or three lines of straight stitching on the top and some crazy loops on the other side. 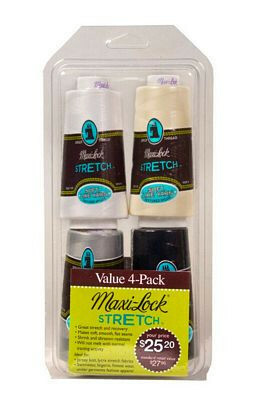 This allows your hem to stretch with the fabric without breaking. It gives a really nice clean look to the hem and stops the other side from fraying. 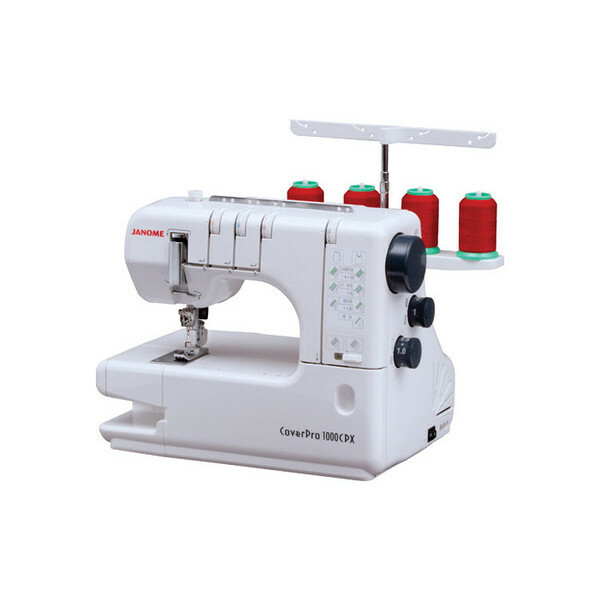 The Janome CoverPro CPX1000 can be used for 2 or 3 thread stitching. 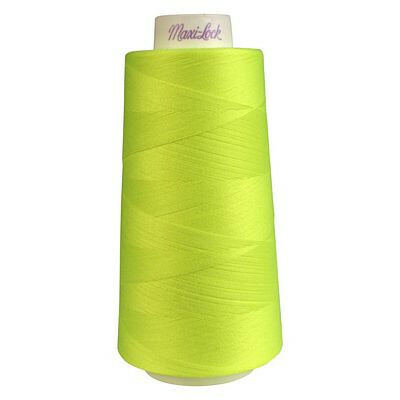 I love to use a contrasting thread like the awesome NEON yellow serger threads we have in stock from Maxi Lock. 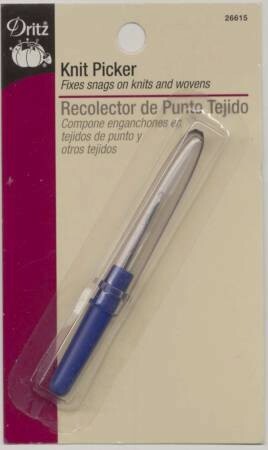 You can use Nylon Stretch thread (also called Wooly Nylon) in your loopers (both in the CoverPro and/or your serger) for a SOFT wooly feel next to your skin. This is particularly nice when making clothing for a baby or small child! You can achieve a similar look on your garments without a CoverPro using a twin needle! 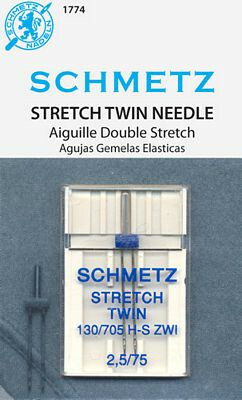 Most machines have an extra attachment on the top to use two spools of thread and you wind the Nylon Stretch thread onto your bobbin if you want it to be extra soft next to your skin.